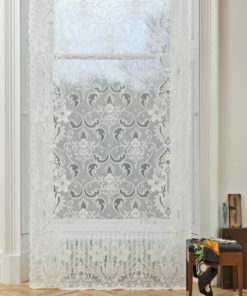 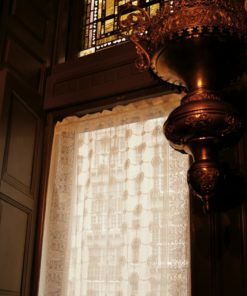 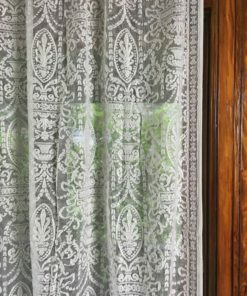 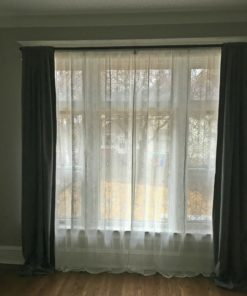 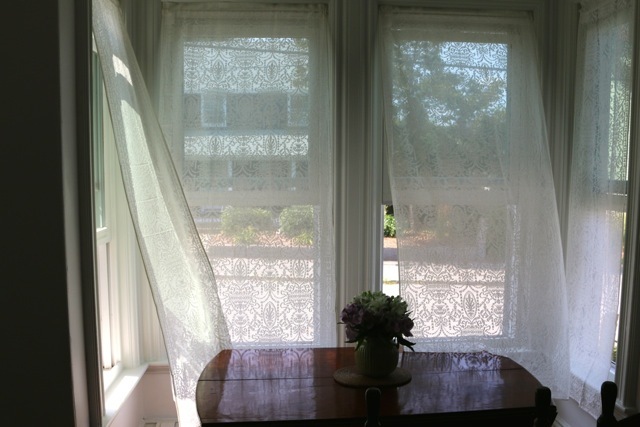 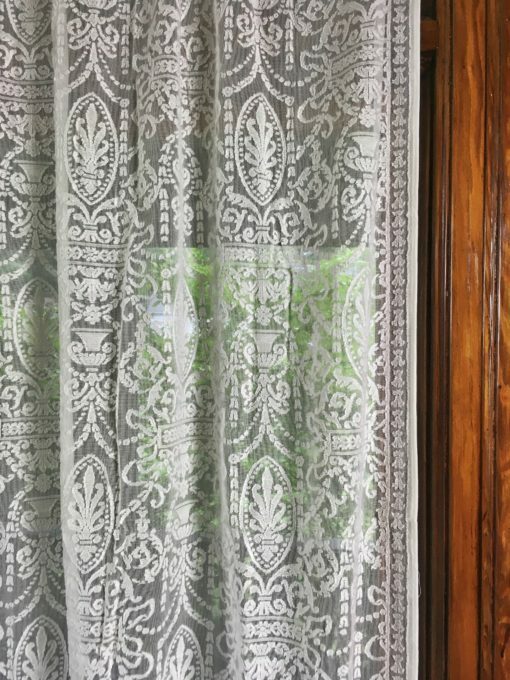 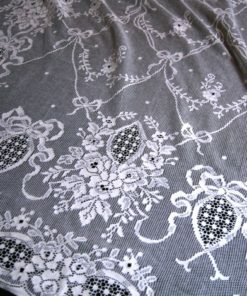 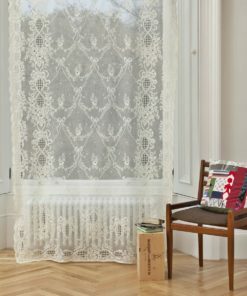 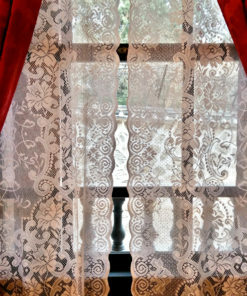 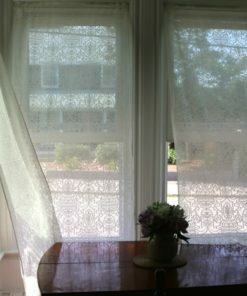 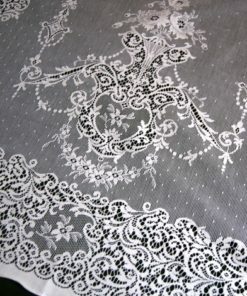 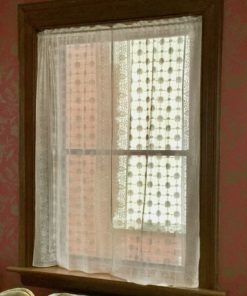 Regency lace curtains are a delicate Colonial Revival pattern ornamented with Neo-Classical motifs. 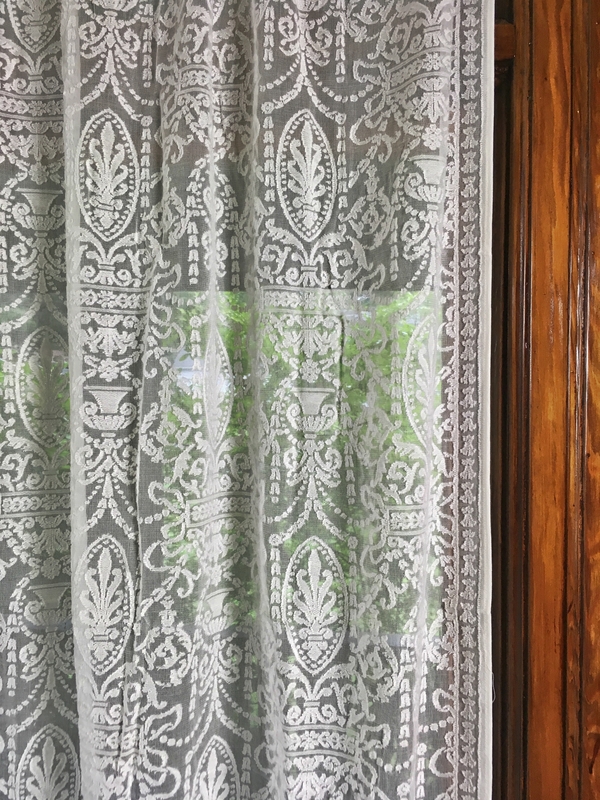 We’ve again collaborated with Steve Bauer of Bradbury & Bradbury Art Wallpapers to bring you a post-1900 pattern for your Dutch Colonial, Tudor Revival, Bungalow or other early 20th century house. 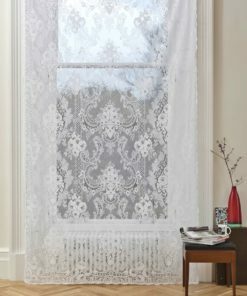 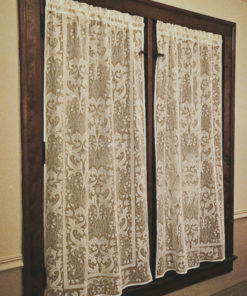 Regency lace curtains adapt the delicate Neo-Classical motifs of the Adam era to coordinate with the furnishings of the American Colonial Revival from 1910-1940 (although it looks just as beautiful in any Federal, Greek Revival or Victorian home dating from 1790-1900) This graceful and elegant lace curtain panel promises privacy whilst permitting an abundance of light to filter into your home. 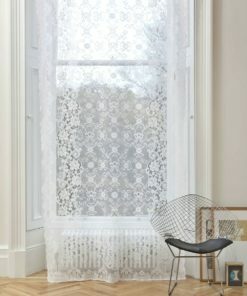 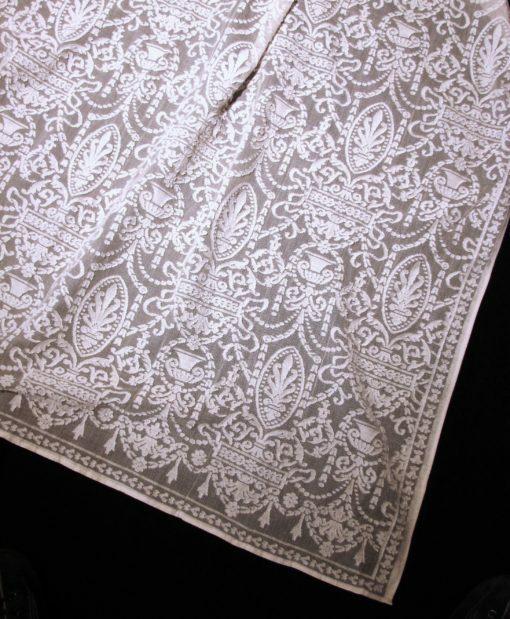 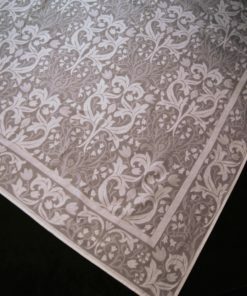 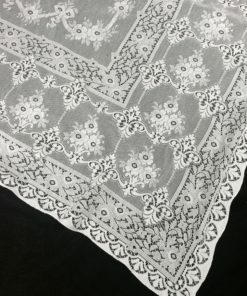 Regency is an Exclusive Cooper Lace pattern woven in 100% Scottish Cotton Madras, and finished in Ivory. 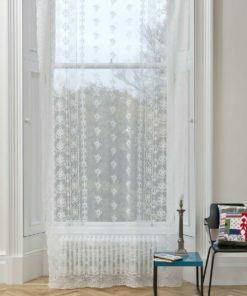 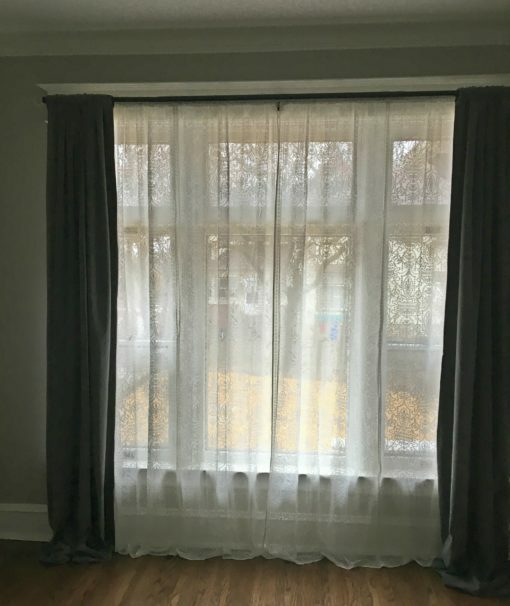 Madras is a painstakingly-manufactured textured weave applied over a fine scrim mesh and is renown for its detail and depth. 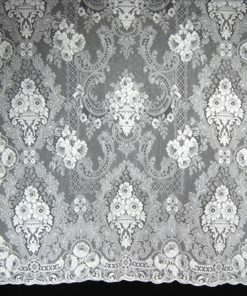 This pattern is woven in three widths and available in stock and custom lengths. 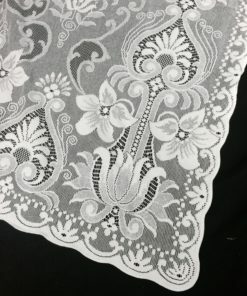 Custom shortening is available for $10/panel; please order the stock size longer than your desired custom length and indicate it on the order form.